For a couple of weeks towards the end of 2014, I couldn’t seem to go anywhere in our studios, Glasgow or online for that matter, without hearing “Serial this” and “Serial that”, all the while trying my best to avoid plot spoilers and not to have my experience tainted of what was the most hyped up thing of the moment. 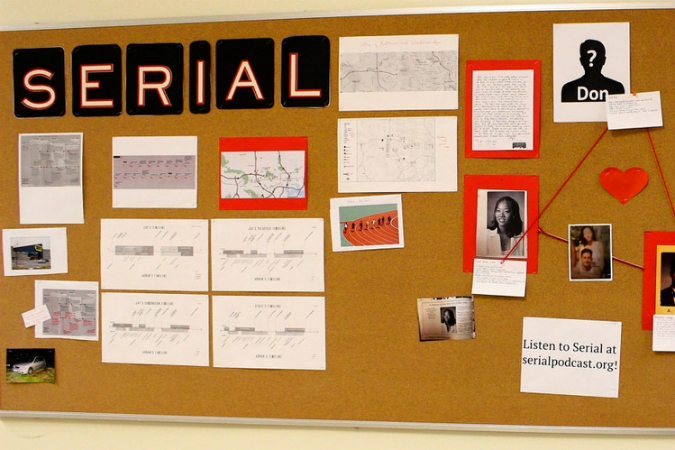 Amongst our digital media and video production team, we can frequently be found chatting about the latest enthralling TV shows or gripping movies, so it wasn’t until I enquired further that I realised Serial was in fact a podcast series. 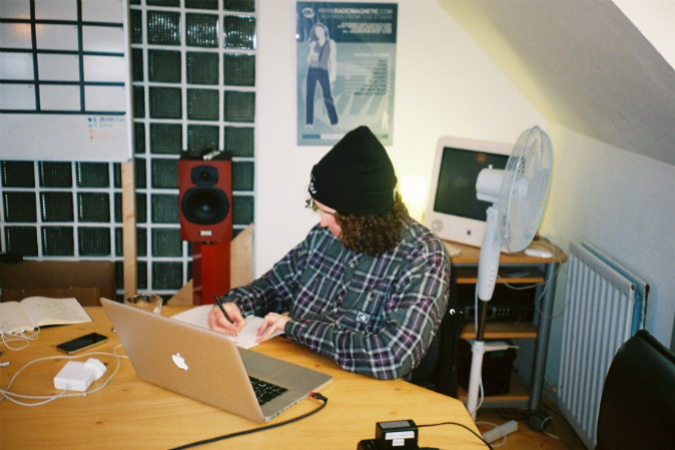 As we started out many moons ago as an audio production company and one of the UK’s first ever internet radio stations (www.radiomagnetic.com), later developing our prowess in video production, live streaming and much more, the buzz surrounding this podcast (sheer volume of listens alone, with millions of global plays each week) series really grabbed my attention… “Must be great” I said to myself. In its essence, the podcast series covers one murder case, a strangulation which took place in Baltimore in 1999 and led to the conviction and life-sentencing of the young female victim’s ex-boyfriend, Adnan Syed. Whilst a jury reached a final decision at the time, this series sees journalist (and narrator) Sarah Koenig return to the finer details of the case to pick holes in some of the uncertainties and unanswered questions still surrounding it today. Upon pressing play I was quickly met with all the reasons why podcast and audio-only content can just be so gripping in a way that no other content can. Subtle audio techniques and clever scripting being put to use in a concise and engaging manner, all works to keep the listener’s full attention whilst driving the content and storyline forward. The room left in the show for visual imagination, in the descriptions of characters and scenarios, allow the listener to find their own story within the story and discover an untold freedom within this. Not to mention the fact that the story is almost entirely told through the narration of the investigative journalist who is collating the majority of her information for the podcast through phone call conversations (audio only!) with the convicted Syed direct from his correctional facility. This similarity in both the listener’s and narrator’s journey throughout the series further brings impact and emotive significance to each of the twists and turns we experience throughout. This element, I feel, was key in bringing the modern audiences to the podcast series in such numbers and with such enthusiasm in an age where we have become increasingly accustomed to video being the centre of media attention. Whilst the techniques and style of the podcast, none of which are anything new or innovative I might add, work effectively to draw the listener in and bring us closer to the story, they also make it much harder to accept when the series begins to take on an unexpected lull in content. With so much momentum built up in the first few episodes (both in terms of the audio content and in the online buzz around the show), with so many characters introduced, scenarios laid out, shocking facts and twists in the story all there to hook the listener in fully; the series, as early 5 episodes in, simply felt to me as if it was lost at sea with no vehicle to return it to it’s initially established sense of true purpose and meaning. The series started out with an in-depth look at the intricacies of the case, the day the murder occurred, the people involved, the mysteries unsolved – all an undoubtedly fascinating and enthralling listen as, for the most part, these were all relevant details. Serial then quickly shifted into a very different territory, almost fully concerning itself with commenting on the speculative aspects of the case and characters involved wholly from the narrator’s own personal view point. After this disheartening turning point in the show’s drive, the same points then seemed to be covered time and time again, with increasingly less relevant information and increasingly more unrelated opinion and emotionally-driven commentary attached. We, as the listener, are quickly shifted from being allowed to run free within our imagination of the storyline and facts we’ve been told to being confined almost entirely within the narrator’s opinion, on the most meaningless of trivial things; a 10 minute section on what Syed had cooked in the prison kitchen that morning is a good example of this. Despite this distinct feeling of disappointment in the series’ tailing off and lack of long term vision for how it would all play out for it’s audience; it did simultaneously bring back the joy of a shared experience and buzz around listening to a podcast for me and undoubtedly many others across the world. This led me to thinking, “Why?”. Why is it that podcast and audio only content is so overlooked and under-appreciated? The answer is that it’s not, it has just as much value and potential as it’s counterparts, but is just appreciated by fewer in the current climate, something which changes almost as frequent as the seasons. The podcast not only makes us but allows us to think, and thinking can never be a bad thing for anyone!